Completing a driver’s education course is necessary to receive your driver’s license as a teenager. You may believe that once you have your driver’s license that you do not need further education on the rules of the road, but taking a driver’s education course as an adult can better the safety of everyone. Even if you have been driving for many years, enrolling in a driver’s ed program can refresh your knowledge and skills as an adult driver. The experts at Drivers-Licenses.org know that adults can greatly benefit from enrolling in driver’s ed courses. Driving a car becomes second nature in adulthood. Although you may have had your driver’s license for many years, the team at Drivers-Licenses.org knows everyone can benefit from a refresher course when it comes to proper driving procedures. Knowing the rules of the road is vital to keeping drivers safe and the road clear of accidents. Adults can learn from a licensed driving instructor that is trained to be up-to-date on the latest traffic laws and road regulations. It’s always best to get your driving knowledge from an expert that is required to teach the best and safest driving practices. It is vital to be a defensive driver on the road. You should be prepared to drive in any situation, including hazardous conditions and inclement weather. Defensive drivers should be prepared for whatever comes their way. Some vehicles on the road may not be cautious or courteous of their fellow motorists, and this usually ends in collisions. Defensive drivers can combat this danger by knowing what to do in unpredictable and sometimes dangerous situations on the road. The team of experts at Drivers-Licenses.org recommends that adults stay informed about the best practices of defensive driving. These skills can be learned through an adult driver’s ed class. We live in a world of distractions, so being on the defense is important when you are behind the wheel. If you are looking to lower the cost of your monthly bills, enrolling in a driver’s education class can help you save money. The cost of car insurance can add up, especially if you do not have a perfect driving record. Many insurance companies offer premium discounts for adults that complete driver’s ed courses. Car insurance companies can lower your insurance rates if you receive proper driving training, since you are less likely to get into an accident. 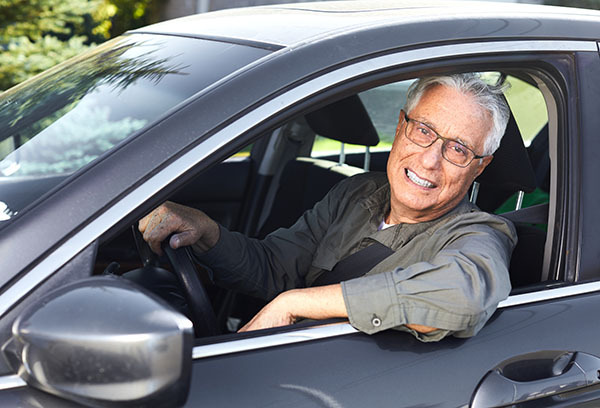 Adults over the age of 50 who complete and pass a defensive driving course can qualify for reduced car insurance rates. Drivers can only take a defensive driving class once every couple of years to receive the discount. The team at Drivers-Licenses.org suggests contacting your car insurance company directly to see what adult driver’s ed classes are available in your area. Enrolling in a class can save you a significant amount of money on your insurance policy, so it’s something worth considering.